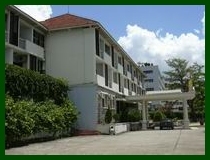 The hotel is located in the heart of Halong city and right in front of the World Heritage site - Halong Bay. 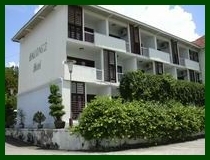 Just five minutes to the Beach, ten minutes to the Wharf. Some concessions to modern tastes have been made - all rooms have air conditioning, television, IDD 'phones and, in the suite, a spa bath. 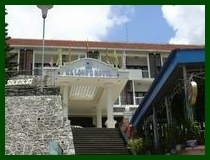 The Halong II Hotel is obviously not to everyone's taste - it's very basic with few facilities. Nevertheless, sitting outside on the terrace with a gin and tonic watching the boats on the bay is an echo of a bygone age - colonial grandeur at a bargain price!